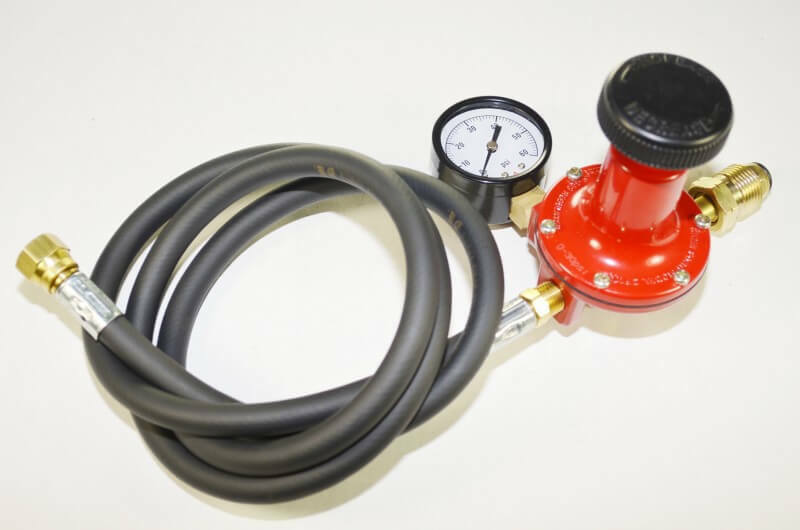 COMRI-30 - 0-30 PSI High Pressure ADJUSTABLE Propane Gas Regulator with Pressure Gauge Assembly, includes a POL tank fitting, a PSI gauge and a 1/4"ID hose. SS Hose purchase option at an additional charge. Quick Disconnect hose as the QDC-SS Hose Set purchase Option. We offer free shipping to the 48 U.S. States. Wt. 3# (with a 5 ft hose).